Sometimes caregivers may feel like their needs become second to the patient. Feelings of resentment, anger and depression are normal. To avoid letting these feelings affect your relationship and your well being, it is important that you spend time focusing on your own needs and emotions. This page provides resources that validate the needs of caregivers and address quality of life issues. Learn why caregivers should continue to participate in activities that they enjoy. A road map for navigating some of the common feelings caregivers have and tips on how to deal with them. Explore how caregiving affects you socially, physically, psychologically, financially, and spiritually. A free, unique, one-on-one mentoring program to help caregivers and people with cancer. The organization matches people based on age, gender, and the type of cancer they are facing. 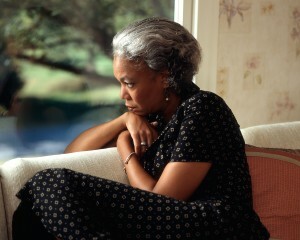 Depression- which might include feeling angry, anxious, sad, alone, or tired- effects 1 in 5 caregivers. As a caregiver, who’s taking care of you? Check out these lists to identify strengths and weaknesses. Cancer Transitions is a FREE 2.5 hour, 4-week workshop to help cancer survivors and their caregivers make the transition from active treatment to post-treatment care. Expert panelists include physicians, nutritionists, nurses, and fitness experts will discuss topics such as: Get Back to Wellness, Healthy Eating Post-treatment, Medical Care and Surveillance, Physical Activity and Emotional Health and Wellbeing. Provides information for what you need to know, tips, and types of help available to you. When you’re burned out, it’s tough to do anything, let alone look after someone else. That’s why making time to rest, relax, and recharge isn’t a luxury – it’s a necessity. More broadly addresses how challenging it can be to meet your needs as a caregiver while also caring for a loved one with cancer. One of the most helpful sections explains how to find local support groups through the Cancer Survivors Network.